VERSION 2.0 UPDATE: Adjusted deminsions on assembly notches for better fit and tolarance. 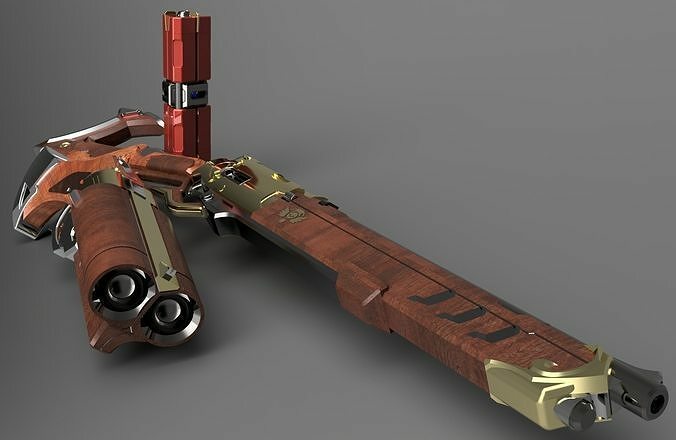 These were scratch modeled by me to be similar and close to accuracy to the character Ashe from Overwatch WITHOUT being a direct copy of the artwork for Overwatch. DISCLAIMER: Size is based on my Fiance's hand size. And is close to accuracy to the ingame model of Ashe. They are sliced for simpler printing, though you will need a roughly 6x6x6 Build volume. My copy was printed at .15 Layer height, 15-20% infill, use supports. If you need them sliced further, feel free to reach out to me at: j buechler artistry @ gmail .com (Remove spaces).